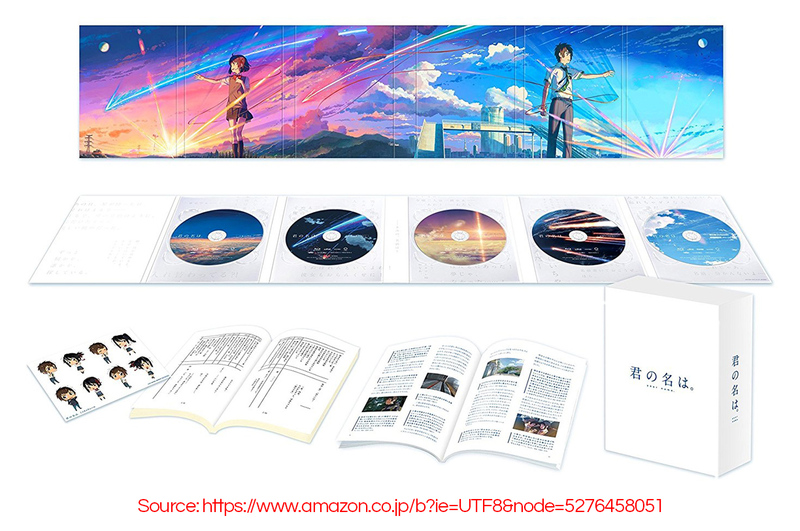 Boasting breathtaking animation and an emotionally powerful story, anime film Your Name has received worldwide acclaim, so much so that even non-anime fans want to see it. In an ideal world, this would mean nothing but good news. Regrettably, we live in a reality where a movie’s success makes it a target for pirates who have no qualms about making a quick buck off the hard work of law-abiding people. Plenty of great movies have been and continue to be pirated, and as you’ll see below, Your Name is no exception. 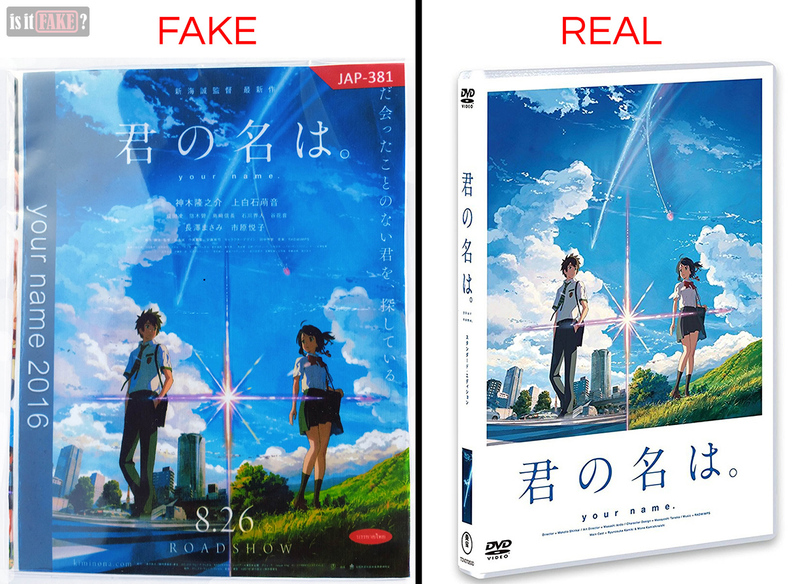 Here’s a general guideline when you’re on a hunt for anime DVDs: avoid buying them from suspicious-looking street or market stalls, or any shops with dubious reputation. We came upon this particular Your Name DVD from one such store in Thailand. 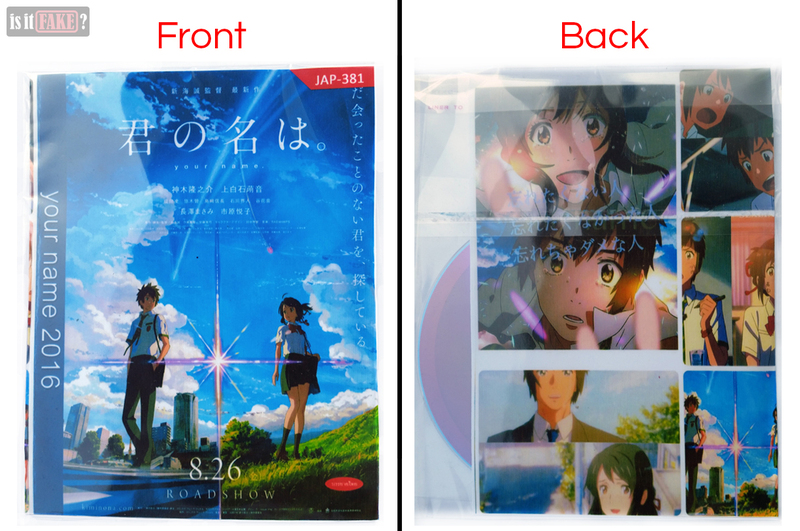 Like most fake DVDs, our copy of Your Name comes in generic, clear plastic packaging. 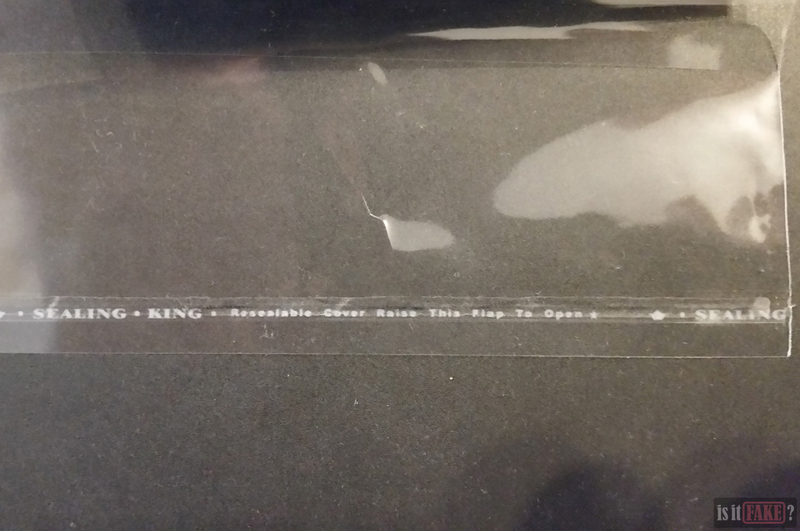 There’s also an interior paper sleeve that wraps around the DVD but not completely, as it’s too short. You can therefore see a small portion of the disc from the back. To resemble any form of legitimacy, the sleeve features official Your Name artwork. The front image should be familiar to anyone who’s looked at the movie’s posters; it even displays a link to the movie’s official website. The back consists of stills from the show, but they’re arranged unevenly. The pictures on the rightmost side are even cut. All images were printed using low quality ink, resulting in dull colors and blurring. On the front cover’s upper right is JAP-381. It’s difficult to ascertain what this means as any amount of research about it yields zero results. 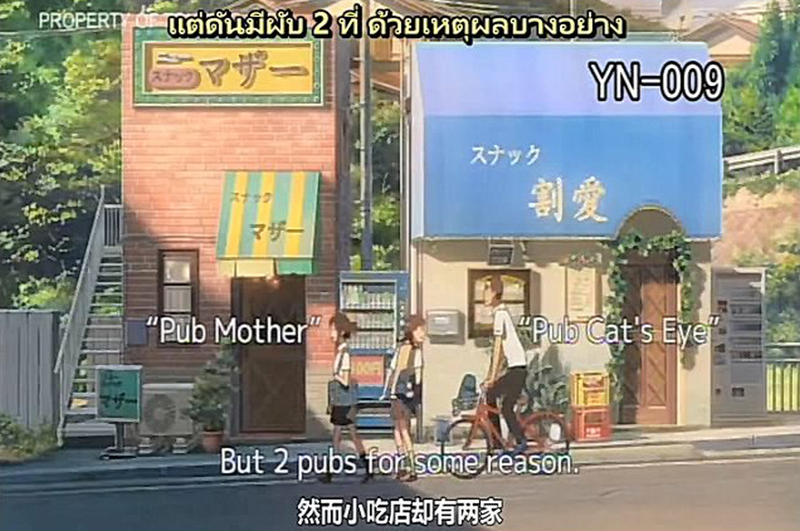 But we did find a similar “numbering” system on another Thai-made DVD. 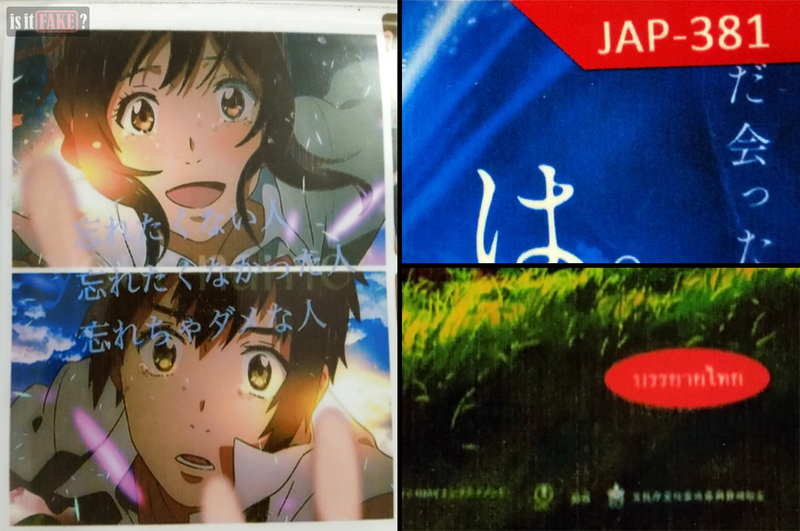 It’s possible the letters indicate a category (with “JAP” referring to an item of Japanese origin), and the number the DVD’s release order. On the front cover’s lower right corner is a red oval containing Thai script. It’s possible this is the fake DVD producer’s “brand,” but it’s hard to know for certain; the poor quality printing also muddies the words. Now let’s examine the DVD and its contents. 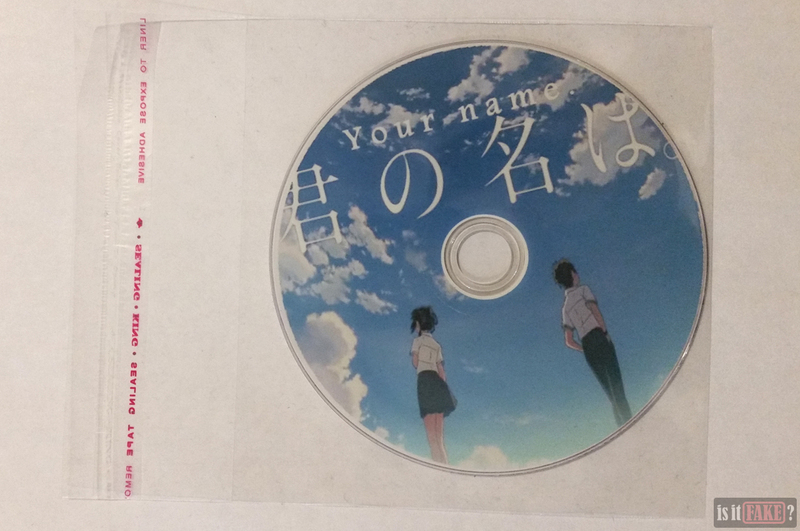 The top of the disc itself features official Your Name art, only the print quality is inferior as we’ve come to expect. The disc runs fine on any DVD player. The quality of the video itself, however, is quite horrid. There’s no menu screen, so we’re immediately taken to the movie, which is a poor quality 480p rip. All throughout the movie, there is an overabundance of text on the screen, the worst of them the subtitles which come in a combination of English, Thai, and Chinese. There’s even text that occasionally scrolls through the middle of the picture. This gives the movie an extremely chaotic look, distracting viewers from its story and gorgeous art. The fact that you can’t turn off any of the text makes the viewing experience that much more frustrating. 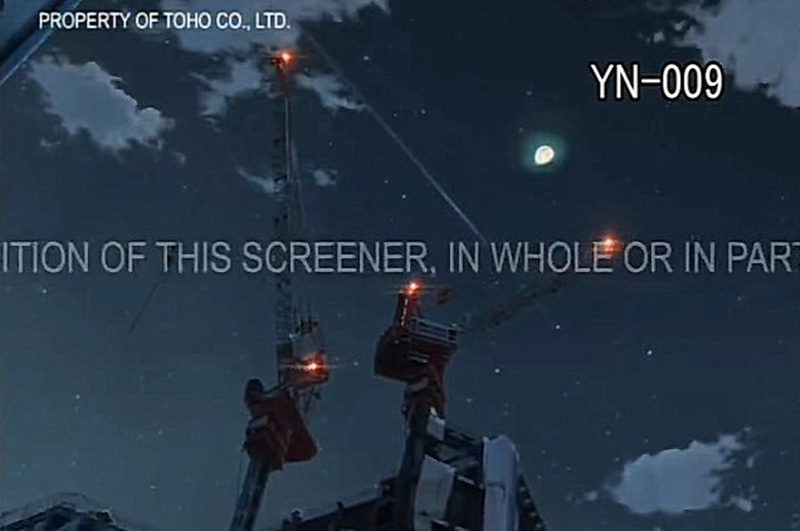 The YN-009 watermark at the corner of the screen is a unique code identifying each DVD given away by the movie’s official distributor and content owner. This gives rise to an interesting possibility: that the fake can be traced to the individual(s) who leaked the movie and allowed it to be ripped by pirates. It’s likely this version of Your Name isn’t even final. 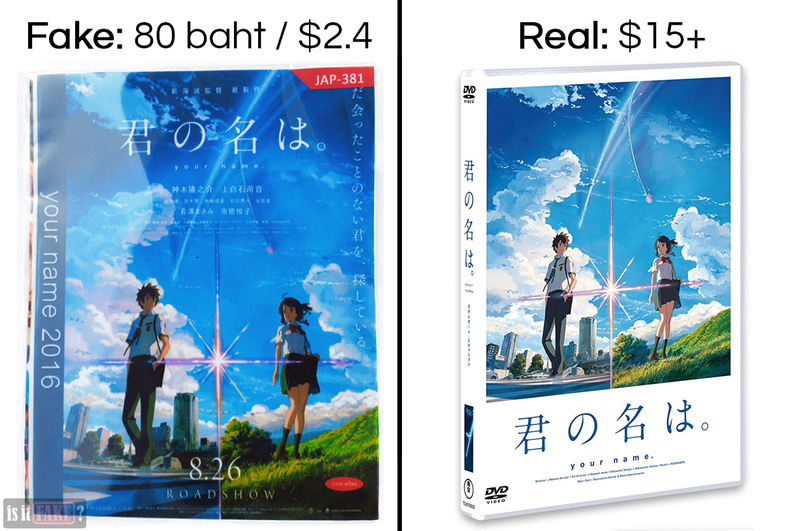 It’s true that the original DVD/Blu-Ray releases are more expensive than the fake. The originals, however, come with a surplus of additional content. Depending on the version you purchase, you can get booklets, artwork, and bonus discs containing “making of” documentaries, commentaries, storyboards, unreleased footage, and more. For example, the most expensive edition, the Japanese 4K Ultra HD Blu-Ray release, comes with a whopping 5 discs. Of course, you can also expect subtitles that you can turn on and off, and an optional English language dub for the western release. Most importantly, the originals’ video quality is superior. If you’ve never seen Your Name, remember: you only get one chance to enjoy a first-time viewing of this masterpiece. You therefore owe it to yourself to watch the film as it’s meant to be watched: in its full, high-quality glory. If you’ve already seen the film and just want to add it to your DVD/Blu-Ray collection, then there’s no better choice than the original. Currently there are no video-on-demand services that offer Your Name in Thailand and a host of other regions. You’ll also have a tough time finding cinemas still showing the movie. However, both the official Japanese and North American DVD/Blu-ray products are already out. If they aren’t available in your local DVD/Blu-Ray shop, you can buy them from reliable online stores. For example, you can get the show on Amazon – just make sure you purchase from the Amazon store itself, and not any third-party seller. You can also buy or rent digital versions of the movie from Amazon Prime (click here and here), or Amazon Prime Japan (click here and here). Thanks to its shoddy packaging and appalling video quality, this fake Your Name DVD earns itself a score of 95% terrible.